To continue to provide meaningful programs for youth to appreciate songwriting and music performance or other skills as an important emotional output, hobby, or music industry profession. The target recipients of these programs includes 11 – 18 age students enrolled in a music program, band, camp, or other music related educational class or school. Public, private and charter schools as well as individuals that are enrolled in a music program through formal education curriculum, extracurricular music related programs, clubs, groups, camps, or other classes are eligible to be recipients of the Foundation distribution. 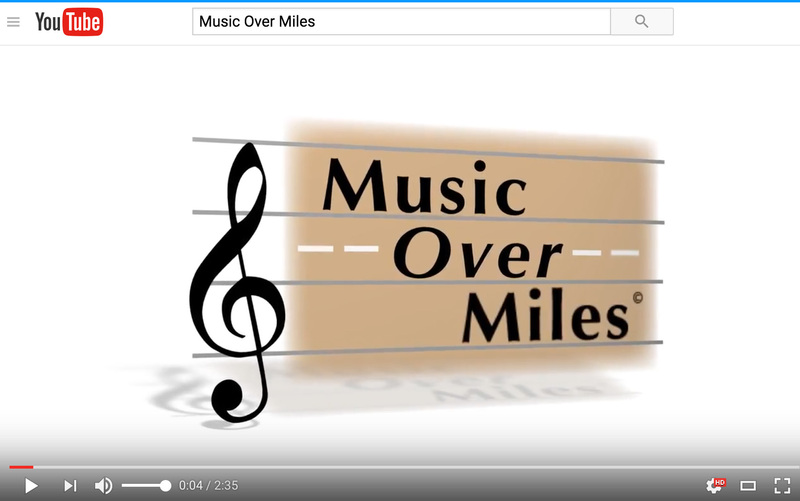 Music Over Miles was founded in 2016 by a patron of the arts, Music Over Miles is an Illinois based 501(c)3 not-for-profit organization which provides single day programs and weeklong after school workshops for youth aged 11 -18. In 2017, its inaugural year, the program impacted nearly 2000 children across the country with wonderful feedback and testimonials. Schools may apply for consideration to participate in the free programs by clicking on Application for Program Participation and completing the form. All programs applying will be notified as to the status of their application within 60 days Funding is now being sought from individual and corporate donors to support the 2018-2019 programs, especially development of the After school Workshops and a Singing Competition to be held in the last half of 2018. People who LOVE MUSIC have come together to help individuals who have dreams of taking their music to the world.